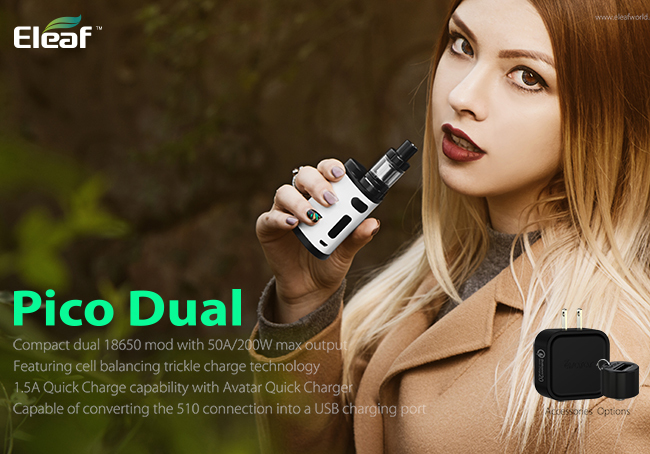 Extra!Extra!Eleaf just released a flagship level kit-Eleaf Pico Dual. The pico Dual is equipped with the latest technologies. It might lead a new trend in the coming 2017.Aesthetically, it keeps the previous pico design, still remains in a compact size but increase its output power which could reach to 50A/200W.